I had to take a photo. 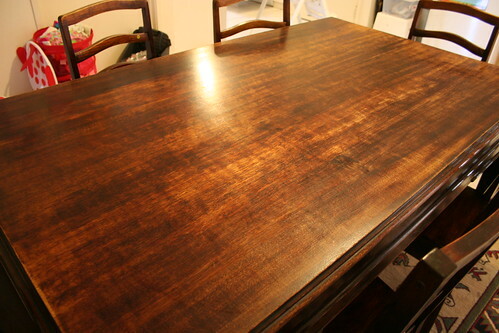 A completely clean, empty, kitchen table. It does not happen very often around here. It did not last long either. PS: Come and join in on my Window Sill project. I hope you got to enjoy that beautiful (clear) table for at least five minutes! i also get such enthusiasm from clear spaces in my house! such a rarity these days! Ha! Mine is covered in folded washing at the moment. I suppose I should be putting it away rather than being on the computer! That is definitely cause for a photo! I don't think that has ever happened here. Hope you are having a happy weekend.